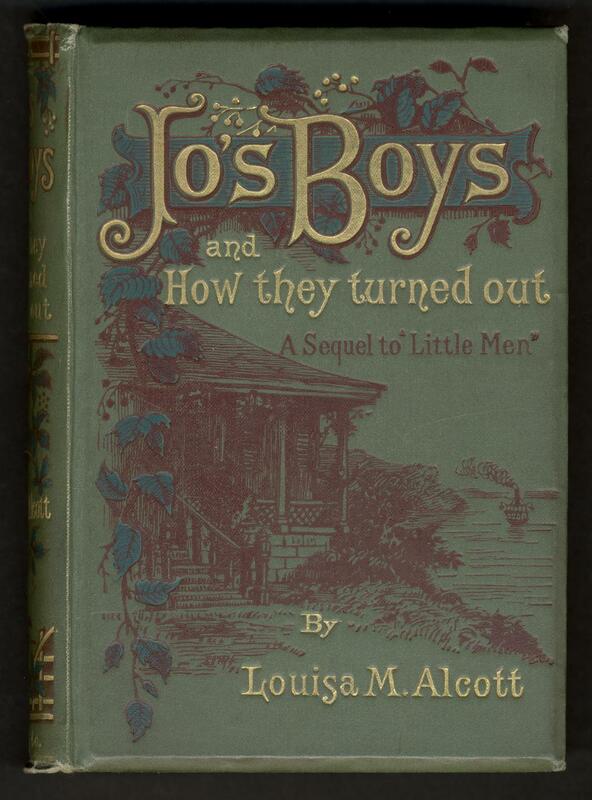 Visual display of the Jo's boys, and how they turned out : a sequel to "Little men"
Green calico-grain cloth. 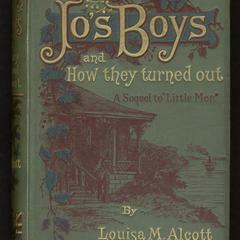 Gold, red, and green stamping on front and spine. No decoration on back. Beveled edges. All gilt.